David Bogie is going well, after 6 stages he is 16th o/a just 13 seconds behind Tom Cave but more crucially, over 20 seconds up on BRC championship rival Matt Edwards. “We had a front puncture in Brenig,” said David, “I didn’t even see it, but we hit a stone and it just punched the air out of the tyre with about 3kms to go. 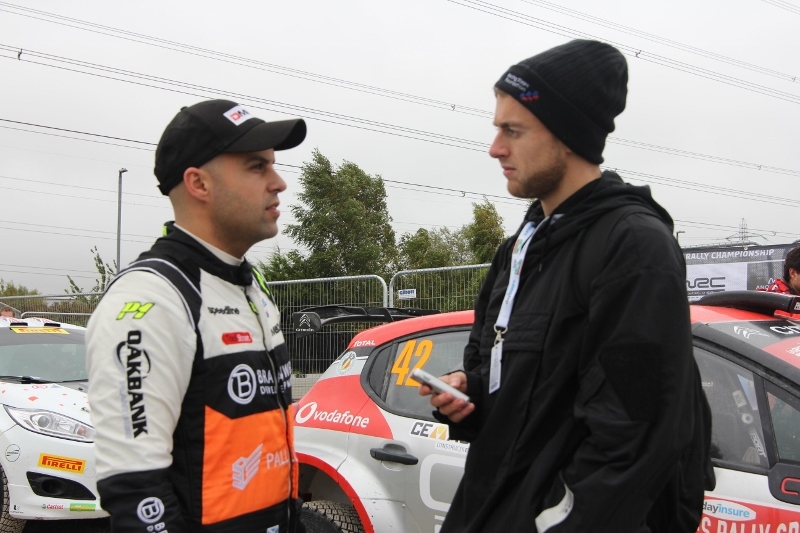 Tom Cave hit the same stone and reckons he lost 15 seconds, but it’s hard to tell when you’re just trying to drive out.” On his first run at Dayinsure Wales Rally GB Alex Laffey says he’s just trying to stay out of trouble: “It’s a lot slippier than I expected,” he said, “of course I was expecting it to be slippy, just not this bad. It’s very slimey. Young Finlay Retson bowfed a bale and was expecting to see a stove-in rear quarter when he stepped out at the end of the stage. 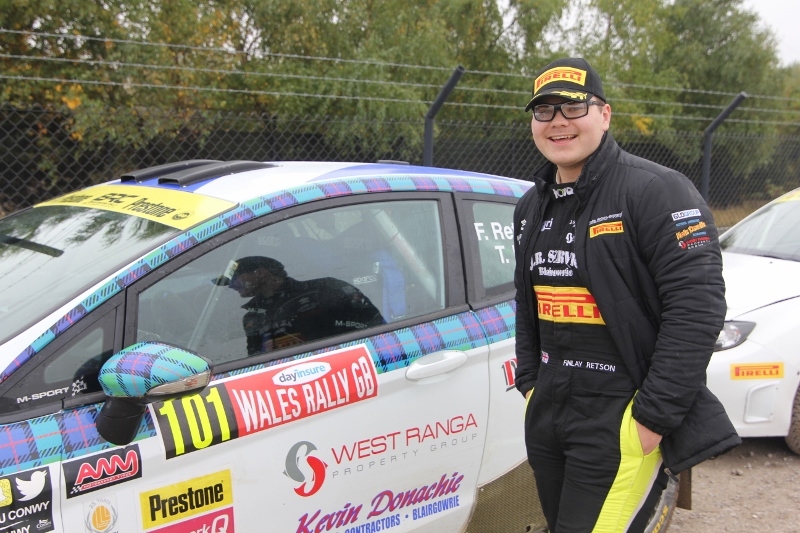 The Fiesta is barely marked, but has torn out a mud flap mounting: “I just smacked a chicane bale when the tail stepped out,” said Finlay, “it’s very rutted already so I’m just trying to be careful, and safe!” It was a relief to see John Morrison this morning. Last night at Tir Prince the Lancer conked out and he got a stage Max. “We phoned a guy in Oxford and he did a remote, live-link with the ECU and sorted the problem within 20 seconds or so,” said John, “The car would start and run but the minute you gave it revs it would just die. He sourced the problem to the flat-shift so we’ve resorted to manual changes using the clutch, and we’re still here and still going.” The wonders of modern science, eh? In the National Rally after 2 stages, John Wink leads Andrew Gallacher with top seed Tom Preston already out. He’s rolled the Fabia quite badly although both he and Carl Williamson are OK. The car hit the front n/s corner and flipped damaging the rear o/s corner on the way over!